Scroll down for your chance to win a copy of Tell it on the Mountain! Last week, we learned there are eleven National Scenic Trails covering nearly 19,000 miles in the United States. And now, thanks to Tell it on the Mountain producer Shaun Carrigan and director Lisa Diener, those of us who haven't hiked one of the eleven trails have a chance to experience one of them first hand. 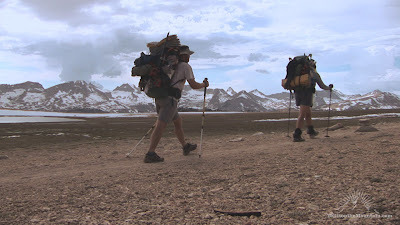 Tell it on the Mountain is a new documentary film about the Pacific Crest Trail (PCT) focusing on hikers during different stages of their lives with different experience levels. But it's more than just a film. After spending nearly two hours glued to the screen, I felt as though I truly got to know a handful of amazing people, people I'd love to hike with someday. 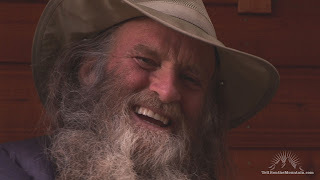 From Scott Williamson, PCT speed record holder, to Billygoat, a 67 year old John Muir look-alike, Shaun and Lisa give us a chance to see what being on the PCT is really like. I had the chance to ask the filmmakers more about what it takes to make a film along 2,663 trail miles. Shaun, you’ve been on the PCT. Any neat stories encounters to share? Shaun Carrigan - Any multi-day hike provides perspective on our everyday lives. As you extend that multi-day hike to weeks and months, it allows for reflection on our existence as human beings. It changes your perspective about your ability to be self-reliant and what fear, hunger and thirst really feel like. It's a life altering experience that a few sentences on this website or a few clips in a film can never fully express. I section hiked 1,000 miles of the PCT in 2003. During that trip there were dozens of amazing moments - an encounter with a golden-colored black bear in the middle of the Sierra, hitch hiking during what felt like a monsoon, having Rae Lakes all to myself for an evening and watching every second of an epic sunset… I’ll just say this - a long hike, especially one of the PCT with its views, dangers and joys forces you to truly experience each hour, minute and second completely and fully with mind, body and spirit. What advice would you give to someone who wants to hike the PCT? Why the PCT for the film and why the characters you chose to depict? Billygoat, one of the stars of Tell it on the Mountain. SC - There are also still far fewer people hiking it than trails like the AT, so there's a level of self-reliance that the hikers need to have, but there's still enough of an established hiking community to give you that sense of family. And some of the characters were obvious choices. Scott Williamson, a trail legend, has thru-hiked the PCT more than anyone else in history and holds numerous speed records. He may be the greatest endurance athlete no one's ever heard of. Then there’s Billygoat. He lives much of his life hiking on the trail and when he's not on it, he's planning when to be on it again. Then, of course, there’s Donna Saufley. She’s one of the most renowned of all the PCT's trail angels and she's also the only person who is doing a section hike. 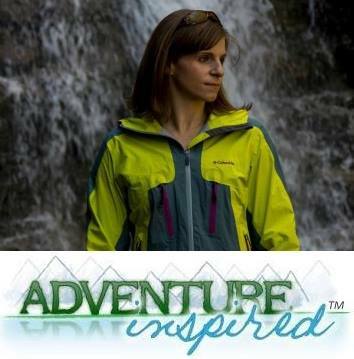 Lisa Diener - We chose Jackalope and Eagle because they planned to get married during the hike, among other reasons. Carsten, Alina, and Iñaki were all spontaneous. We met Iñaki we met at the border and chose him as a character because he was so eloquent. He ended up being the conscience of the film. SC - How much time do you have? We could go on for hours! From carrying gear to remote places to building story lines over the course of 5+ months and coordinating meet ups with our characters along the way, we ran into many challenges. There were also the challenges of having characters carry equipment. They have so much to carry already; it was tough to ask them to carry camera gear. Trying to keep enough ahead of Scott's pace to record him on the trail was also no easy feat. LD - In the end, it comes down to stories and characters. Having a compelling story for so many characters took thinking, planning, serendipity and willingness on everyone's part. Tying it all together was also a challenge - how to convey the passing of time and how to give viewers a sense of where hikers were geographically at any given moment since they were literally all over the map. We move from character to character to keep all the stories alive and fresh, but it could also be disorienting for the viewer without the proper context. What do you hope people get out of Tell it on the Mountain? LD - Though it isn't overtly stated in the film, I sincerely hope people will come away with a sense of how precious and fragile this resource is. There is so much to be gained from having wild places that we can escape to, even if we don't escape to them! Just the fact that they're there. And they do slowly dwindle away. It's easy to forget that. Though some of that shared experience comes from the camaraderie on the trail, it's the place and the setting that make it possible. SC - I hope they feel a sense of possibility. These are people going after their dreams and living the way that they desire for half a year of their lives. You can do it to, whether your dream is hiking for six months, starting your own company or sailing around the world. You just need to take the first step. Enter to win the complete Tell it on the Mountain film! Huge thanks to Shaun and Lisa for the interview and for a chance to check out the film! 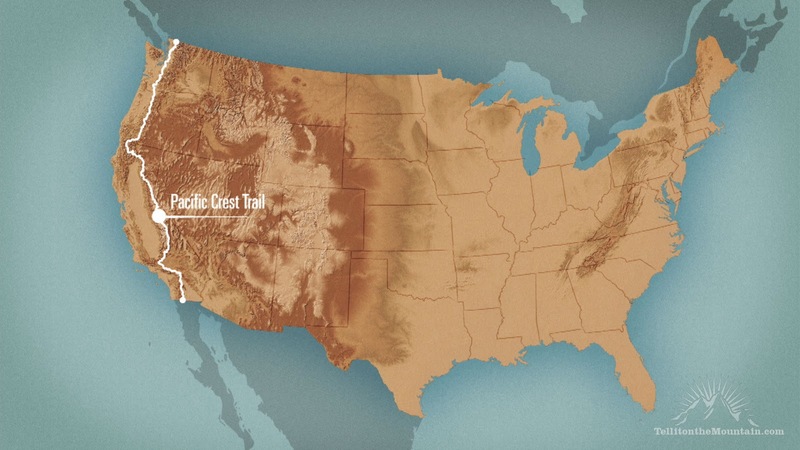 Would you ever hike the PCT, or another long distance trail? Have you? I new a guy who's trail name was Happy Feet I think mine would be Beyond Happy or maybe Happy Behind. Hiking the trail now and would love to see this with some of my new hiker pals! so cool, Caroline, and I'd assume "Puppy" is your trail name? where did that come from? hey, that works, Chris! I think I'd be something like that too...experienced on shorter trips, but completely new to something of that magnitude! Sounds awesome! I'm really excited about this. There was a great article that had some more pictures in it at http://spotoutdoors.com. Hopefully this will get people to realize how great hiking can be.